Chef Tony Seafood Restaurant offers high-end Cantonese cuisine with an elegant dining experience, ongoing creativity and continuous development. Traditionally, Chinese seafood restaurants have relied on pen and paper as the only way to take food orders. 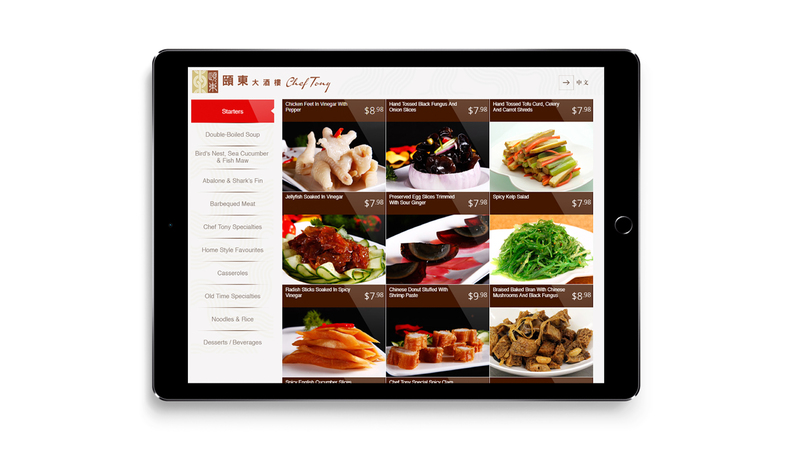 To uphold their modern philosophy of creating a clean, healthy, and sustainable environment, the Chef Tony brand breaks tradition by using an iPad to take orders as a means to cut down on paper and offer customers a forward-thinking Chinese restaurant experience. Using the PhoneGap application and latest web-based technologies, PX Human created a cross-platform digital menu that looks and behaves consistently across iOS and Andorid devices. We focused on the user experience to ensure that customers are able to adapt easily to the new menu style without resorting to the traditional paper menus. Since the start of the digital food menu in 2014, Chef Tony has saved paper, trees and thousands of dollars from printing. 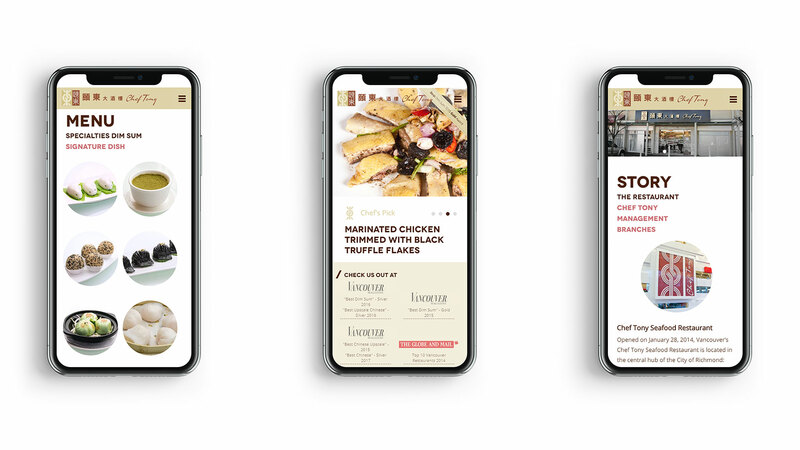 Having embraced the mobile-first philosophy, we created a website that shares the story of Chef Tony, showcasing a variety of dishes with an exceptionally smooth experience for users viewing the website on mobile devices. Examining the analytics, we found that 60% of all traffic came from mobile within a 12-month period between 2017-18.